India is a land of festivals that hail from several religions. We have always lived like a community and several festivals are actually organised in form of a team. Everyone works for hand in hand to create something that will satisfy all the people present in a society. 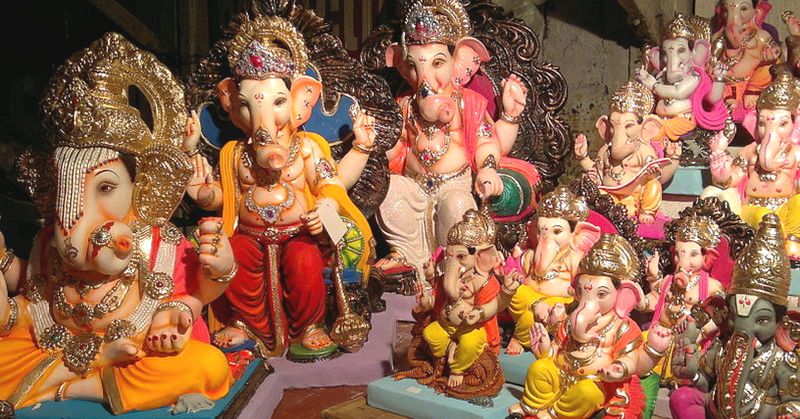 Ganesh Chaturthi is important for several people in India and also in some other countries. Many festivals like the Ganesh Chaturthi and Durga Puja actually instilled the love of unity among the Indians and they are carrying forward to all the upcoming generations. Ganesh Chaturthi is a festival that commemorates the birth of Lord Ganesha. It is celebrated in the Hindu month of ‘Bhadra’ which generally falls in August or September generally on the 4th day of Bhadra. You will see big pandals in the streets which are used for installing Lord Ganesha for a community puja. People also take clay idols of Lord Ganesha to their homes. The idol makers make several types of idols so that they can grab a lot of buyers who are interested in something different. Community pandals often collect from different houses present on a street to fund their festivals. The festivals are all about love and people actually portray their love for Lord Ganesha. They bring him home and worship him both at day and night. He is given different foods which are often a combination of savoury and sweet. On the major day of the celebration people often invite guests to their house to have a feast. Community pandals hire Bramhins who can perform the puja. They often hold community feasts where several people come to share the food. The food is always an important part of the Indian festivals and there are several different dishes that are specially made during this time. Most of the food items are the favourite of Lord Ganesha. On the last day of the festival, people carry their idol to the nearby water body and immerse it. It ends on a sad note but they are aware of the fact that he will come back in the year. It is just like the cycle of life. Ganesh Chaturthi is a festival of unity and it does enhance the unity among many people. Every year people from all over India often come together in a community to pray to God and wish for blessings for their family and friends. So, this is the essence of the festival called Ganesh Chaturthi.